Wooden Pendants There are 13 products. 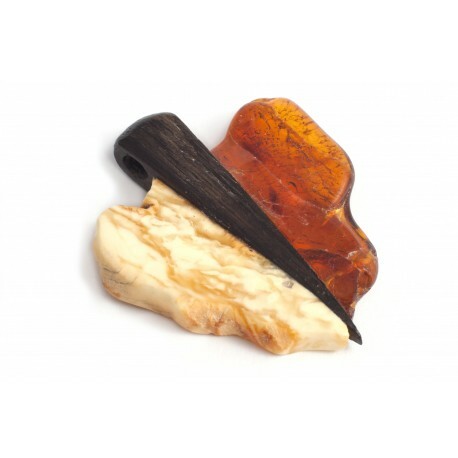 Original and natural author's collection of pendants made of wood and amber combination. 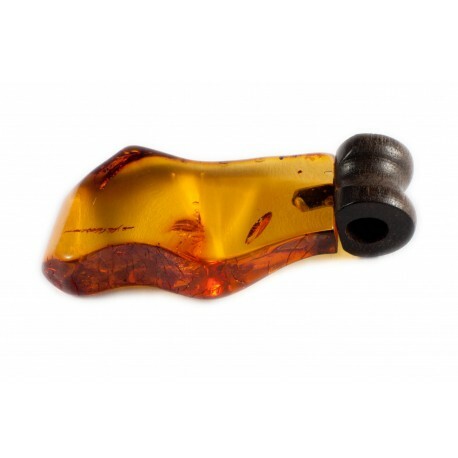 Clear, embossed, asymmetic amber nuggets with wooden loops or beautiful wooden pendants decorated with small or bigger smoothly polished, superposed, glossy Baltic amber pieces. 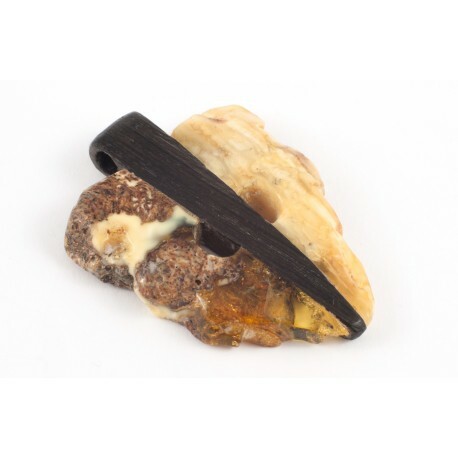 A wooden necklace with the natural amber element that gives comfort and warmth impression and confidence boost. A wooden pendant with amber and a silver loop. 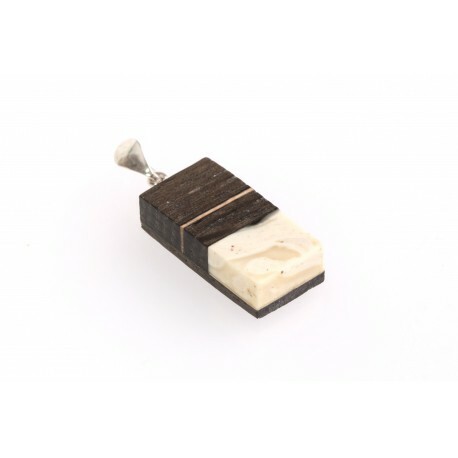 Dark brown wood perfectly matches the white-colour amber. It is a small part of the nature for You. 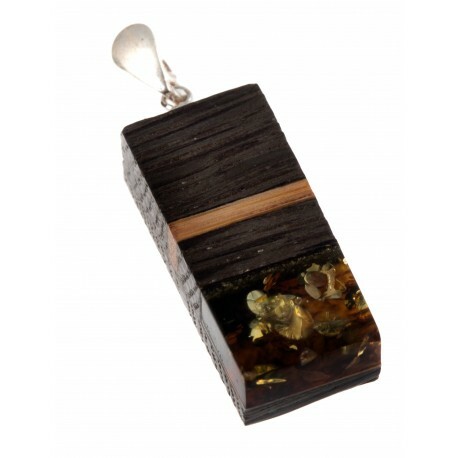 A beautiful pendant with the combination of wood and amber. Soft colours of the soil and spheral form will help You to find the real harmony. 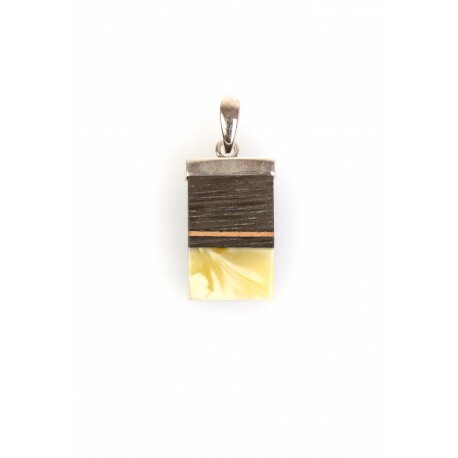 A beautiful, silver pendant with the pieces of the white, Baltic Sea amber and wood. 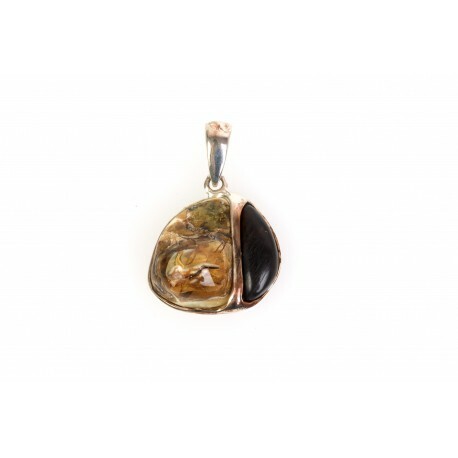 A silver pendant with green-yellow amber and with a piece of the dark-brown wood. A silver pendant with the details of gently polished amber and wood. 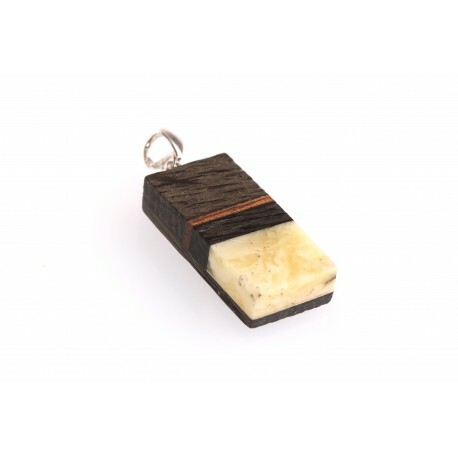 A wooden pendant with white and cognac-color amber. 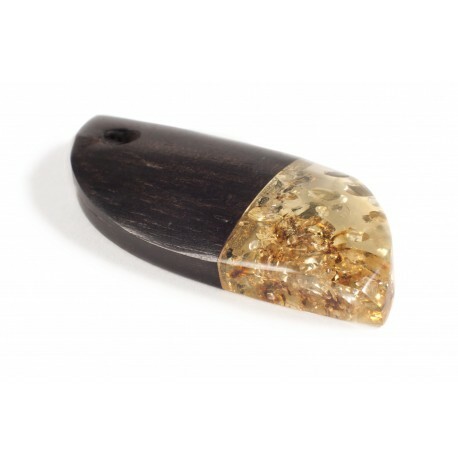 An original wooden pendant with transparent cognac-color amber. 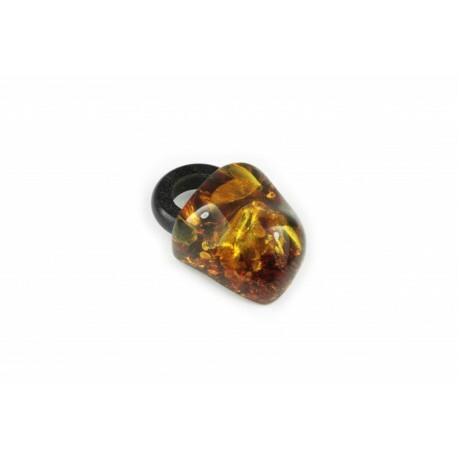 A clear, embossed amber nugget contrastingly matches with black African wood tag which emphasizes the transparency of amber and an intense color. 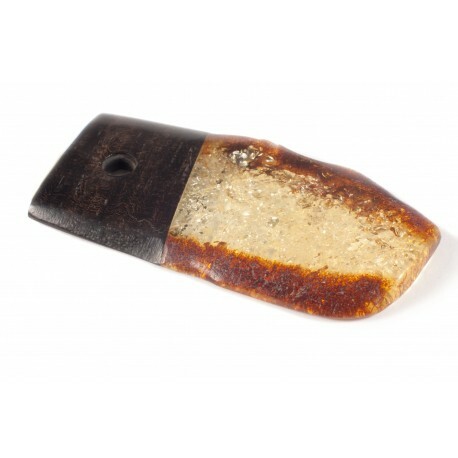 Irregularly-shaped, slightly stamped amber pendant with a wooden loop.